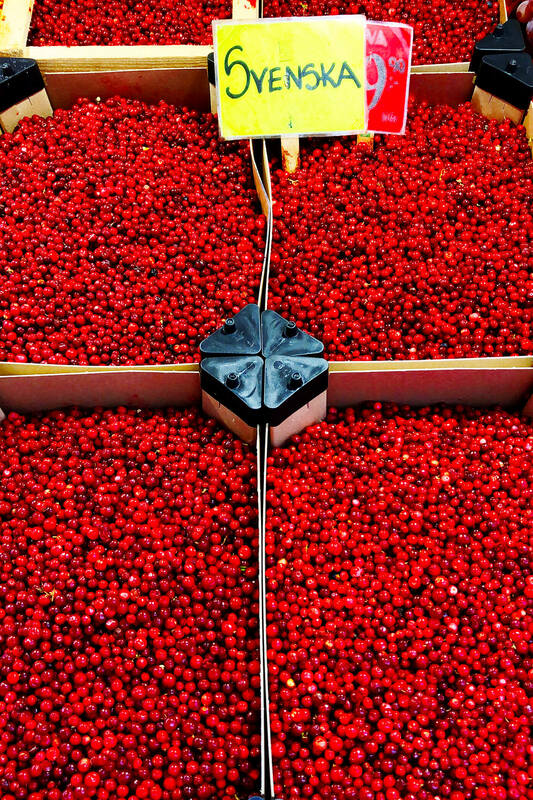 All of our best travel tips for where to eat, stay and visit in Stockholm, Sweden. Hej hej! I’ve finally sorted through a few million trip photos and am excited to tell you all about our trip to Stockholm, Sweden. 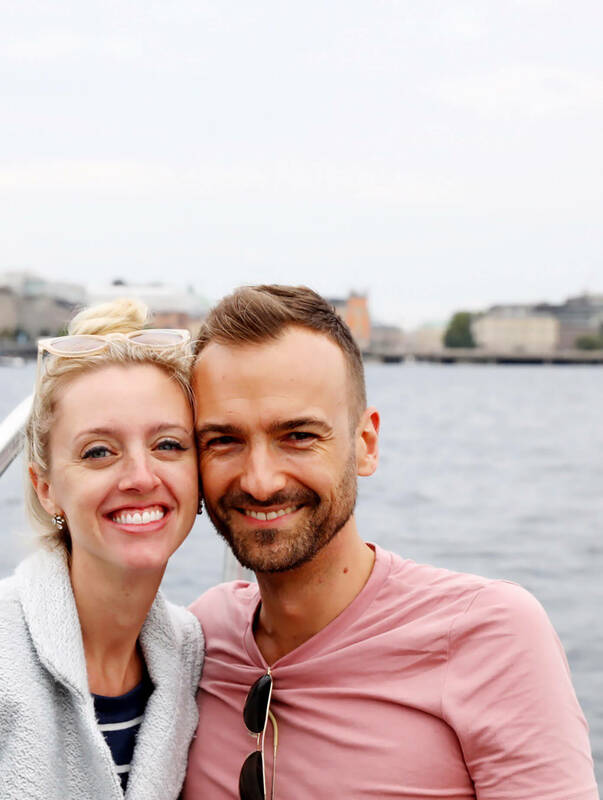 As many of you saw on Instagram, Barclay and I flew north to join Viking Ocean Cruises for a dreamy weeklong sail around the Baltic Sea, which I will tell you all about in another post soon. 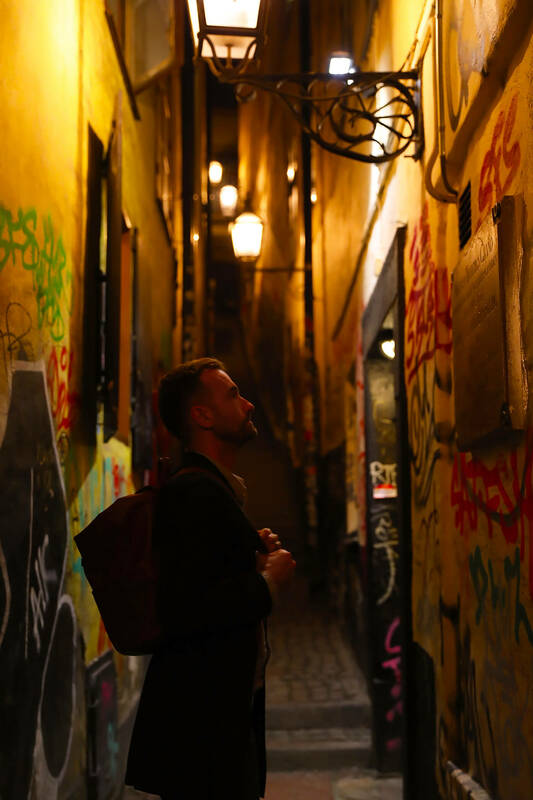 But before our cruise set sail, we decided to make the most of our time in that part of the continent and prowl around Stockholm for a few days. And wow, did this city steal our hearts. 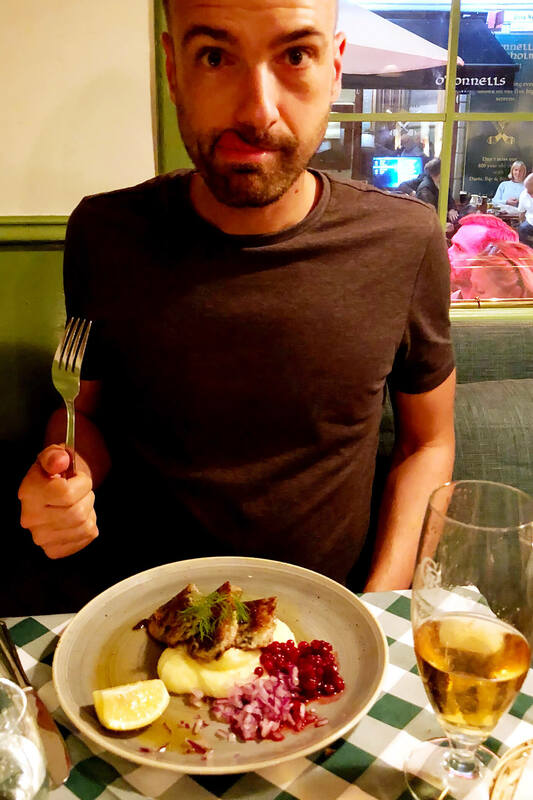 It was both Barclay’s and my first time to ever visit Sweden (and Scandinavia in general), and we were ready for the meatballs and chilly temps and clean designs and islands galore. But we were totally unprepared for how endlessly charming the entire city would be. From the abundance of fresh and healthy meals, to the cleanest and most easy-to-understand subway system we’ve ever seen, to the kindest locals with their flawless English, to a deep and fascinating country history that was pretty much all new to us, to the most beautiful interior design everywhere we turned, to the Swedish tradition of “fika” with those downright magical cinnamon and cardamom buns (where have these been all my life?!?) — we had the best time getting to know this gorgeous city. 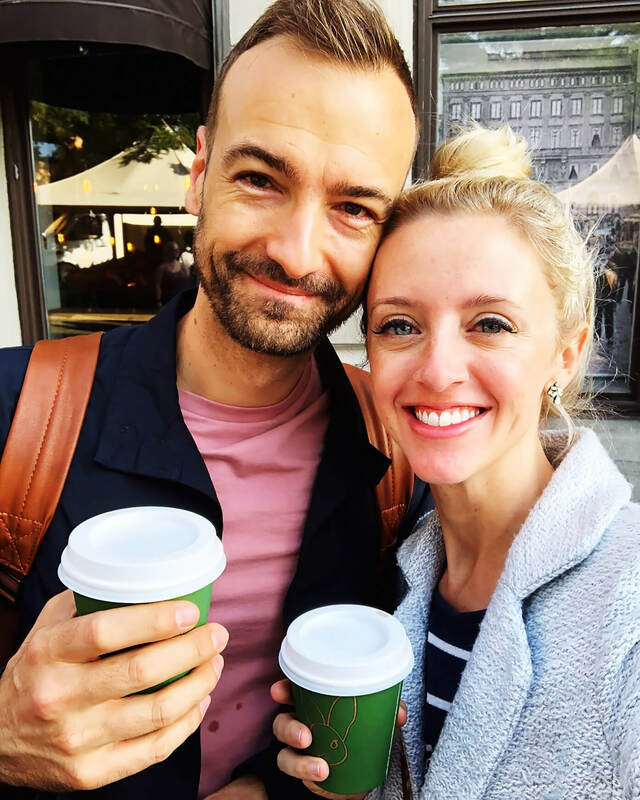 We also had the chance to spend two of our afternoons in Stockholm with my friends from high school, Jake and Kara, who have been living in Stockholm for years as expats and made our time there extra-special. From taking us for a sail around the archipelago in their boat, to introducing us to Swedish Thai food (the one cuisine that is tricky to find in Barcelona! ), to answering our million questions about Swedish culture and healthcare and politics and education and beyond, they were a total highlight of our trip. And I’m so happy we were able to spend time with them! Wichita expats…unite! Anyway, we were only in Stockholm for a little under three days, so we only got to skim the top of our list of recommended places to visit. 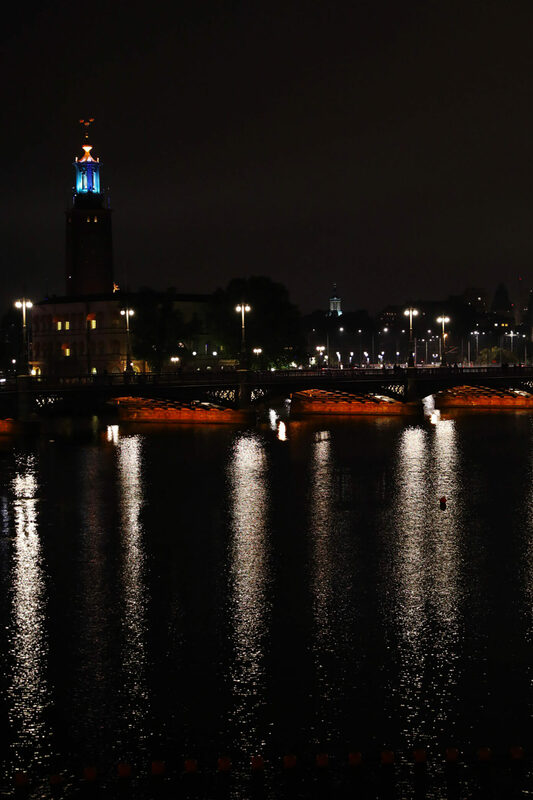 But of all the places we traveled on our cruise, Barclay and I decided that Stockholm was easily the destination that we hope to return to again sometime in the future. We loved it, and have lots of recommendations to share. 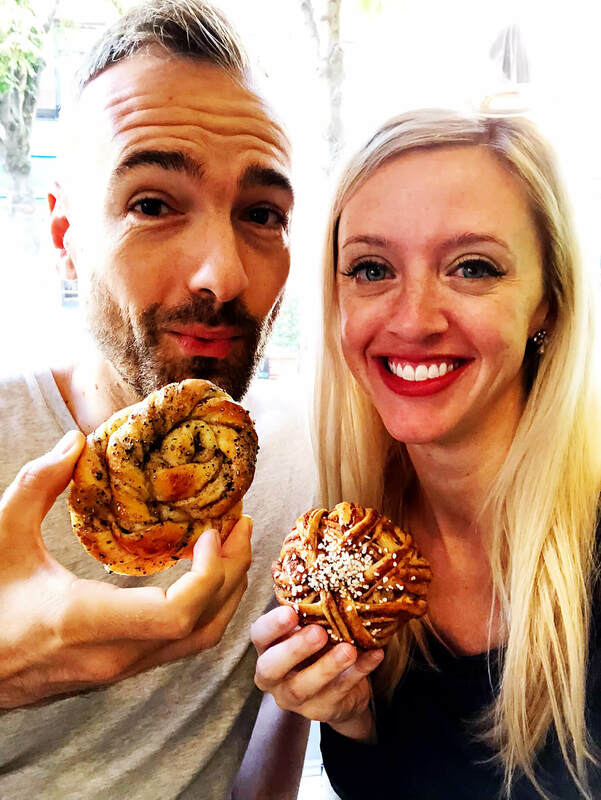 So since you all have been asking — here’s the full story on where we stayed, ate, and visited all around Stockholm! 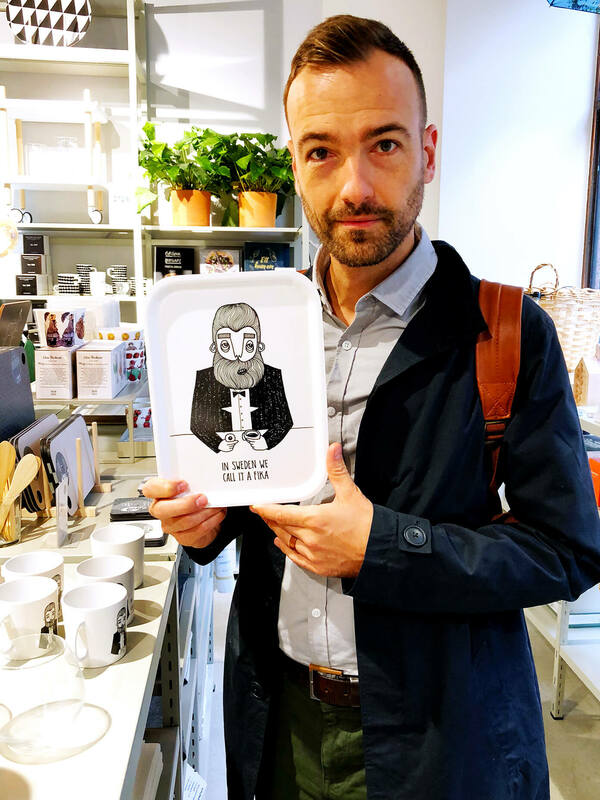 After looking around online for places to stay in Stockholm — a process which I completely enjoyed, btw, hotels and AirBnBs in this city are the cutest! 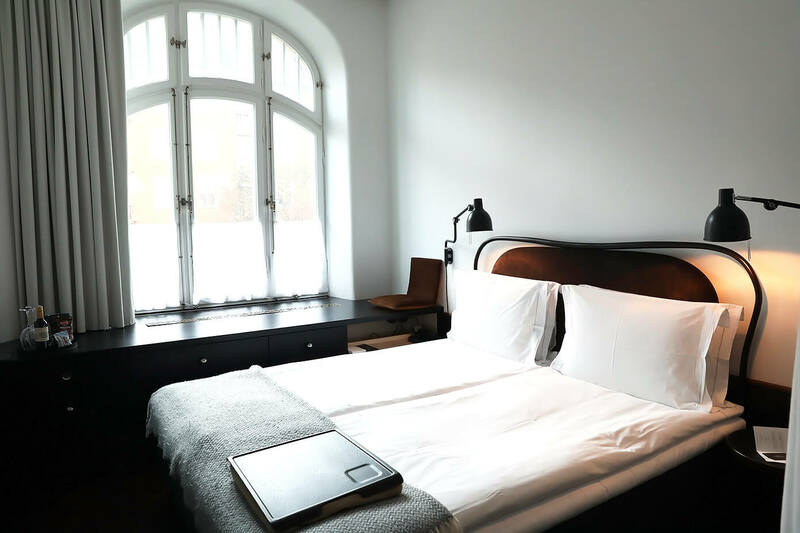 — we ended up choosing a centrally-located, charming little hotel in the bustling neighborhood of Norrmalm called Miss Clara. And we had a great stay there! Also, we happened to pass by a cute little pizzeria next door and went to check its reviews online. 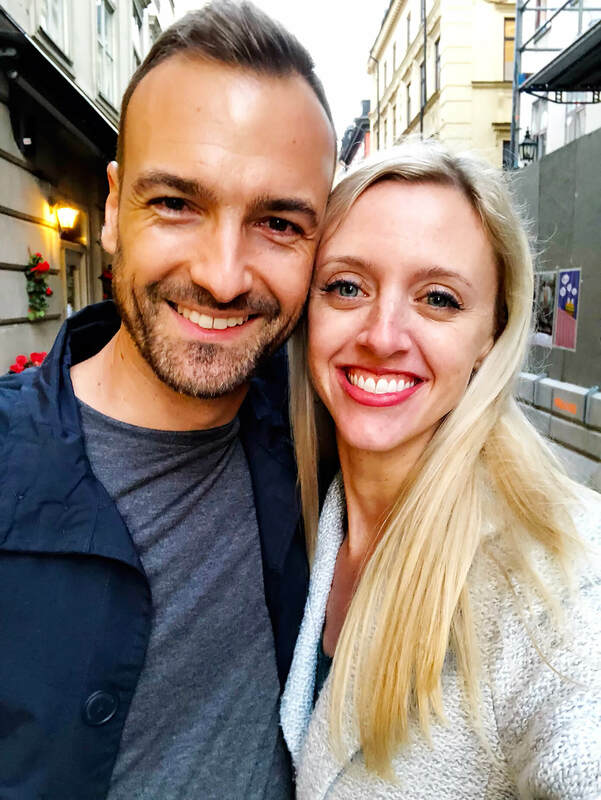 And came to find out — crazy — that the restaurant was actually a partnership between the hotel owner and our favorite pizzeria (also the one featured in Eat, Pray, Love) that we tried during our trip to Naples this spring! 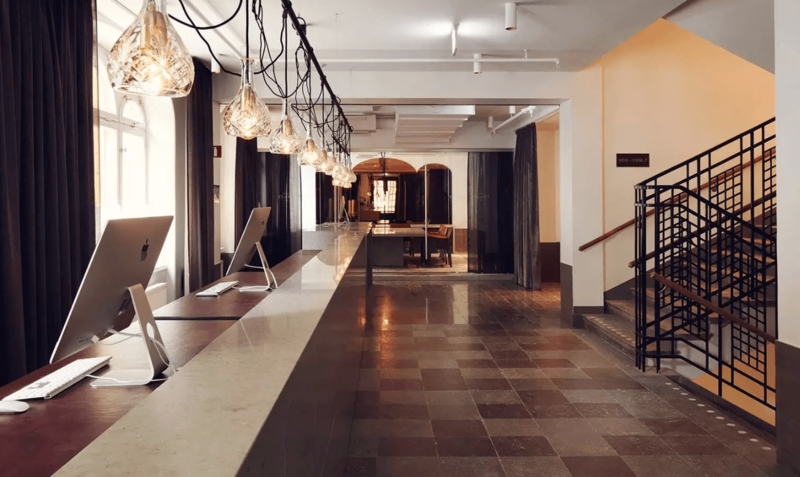 Turns out that the hotel owner also had a life-changing pizza experience there, and loved it so much that he brought one of the pizza makers to Stockholm to open up an authentic Neapolitan pizza joint next door to the hotel. A total worlds-colliding kind of moment. :) We, of course, had to stop by and give it a try one night, and absolutely loved it. Anyway, if you’re looking for a lovely place to stay in Stockholm, be sure to check this hotel out. Healthy everything…everywhere! 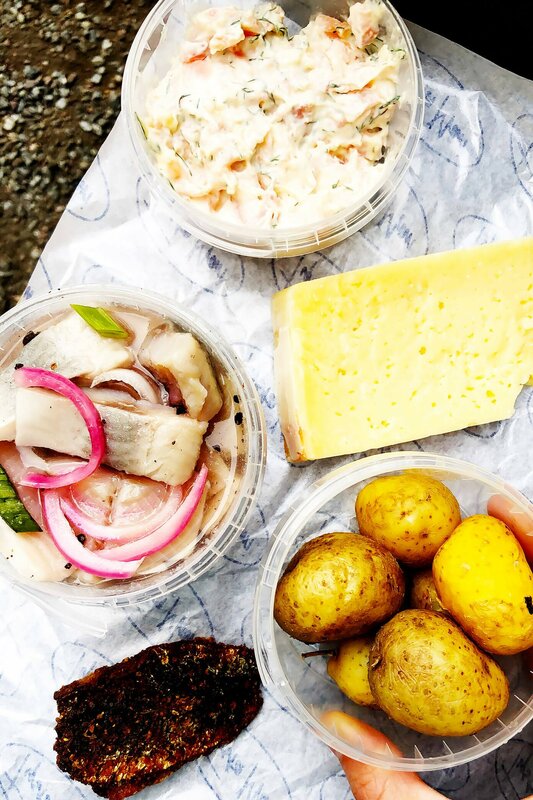 Oh my goodness, we were completely impressed by Stockholm’s extensive fresh and healthy restaurant scene. 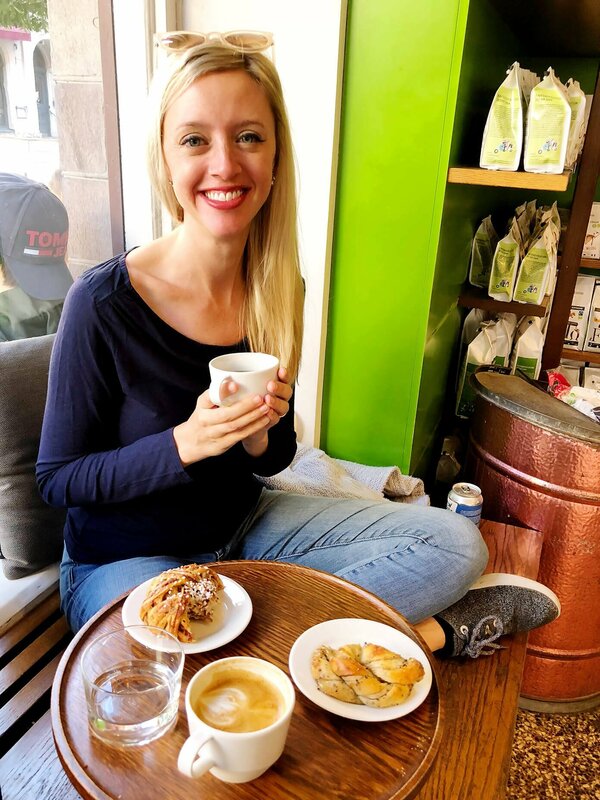 I think especially coming from Spain, where heavier tapas and dishes still abound, it was nice to be surrounded again by salads and vegetables and all kinds of trendy healthy foods galore. Thai food! Also a direct response to our currently living situation in Spain. 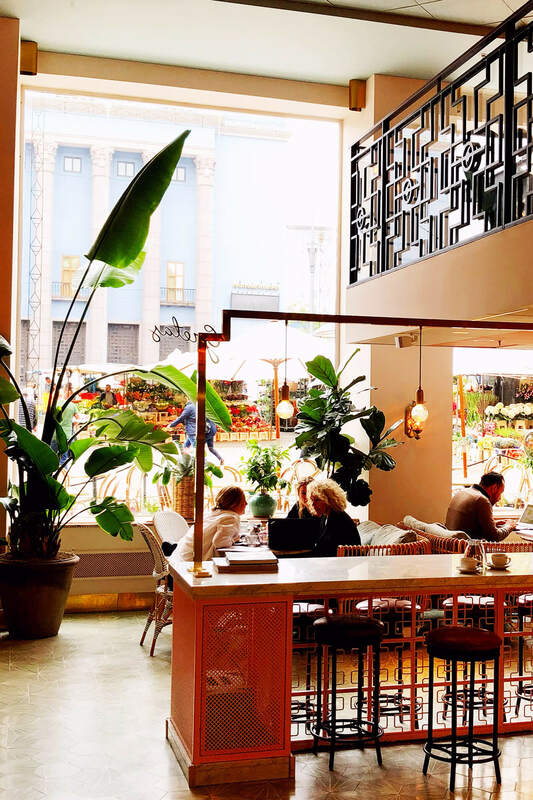 Barcelona has a pretty international food scene, but only one authentic Thai restaurant (that we know of). 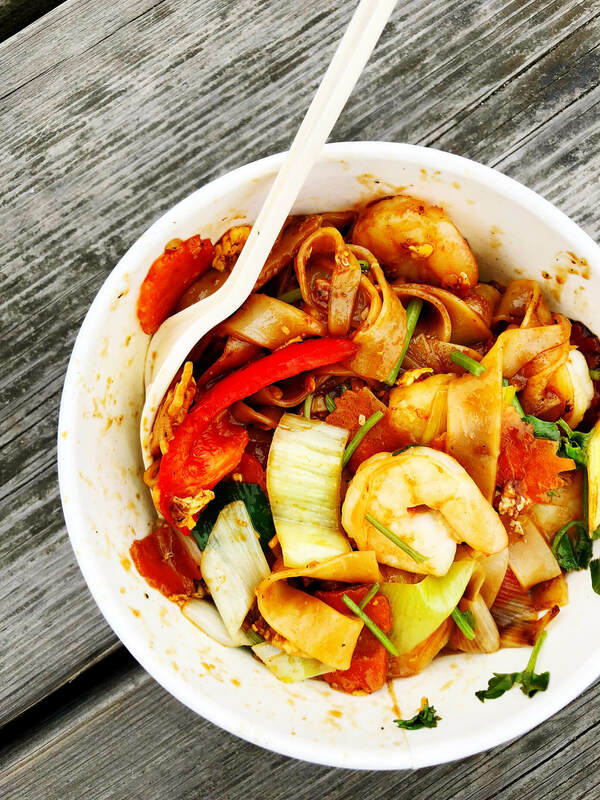 And as major Thai-food lovers, we’ve been missing that cuisine big-time this past year. 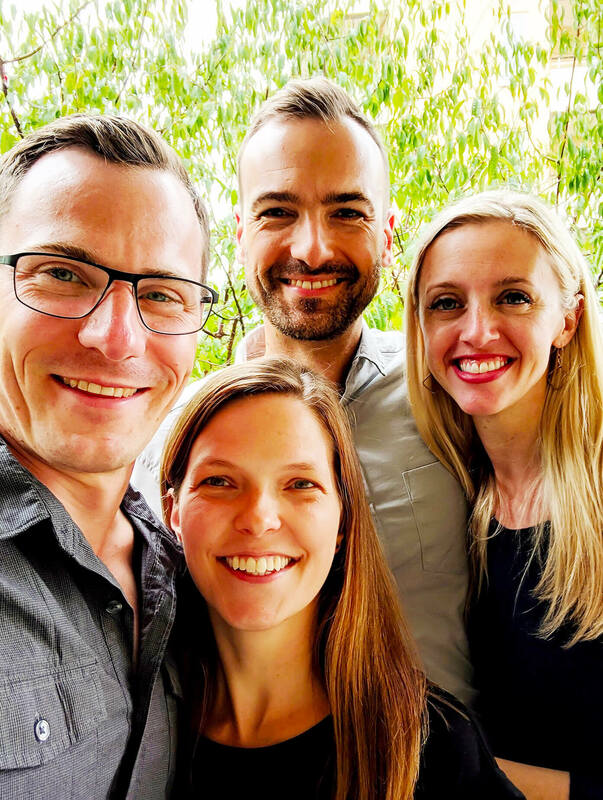 So when Kara mentioned that Swedes are obsessed with Thai food — in part because so many people travel to Thailand during the winters — we jumped on their invite to try their favorite Thai place. And yum, it totally hit the spot. Fika! 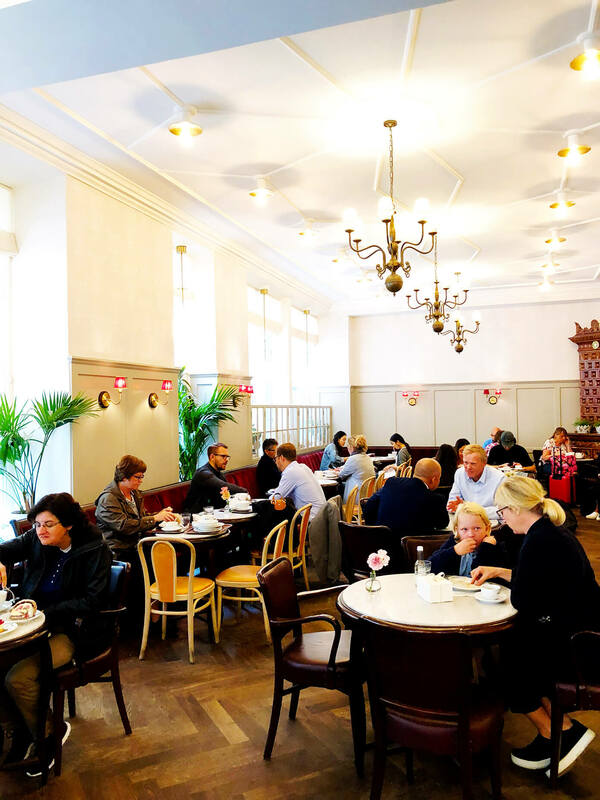 As you will see in the photos below, though, our favorite food discovery was “fika” — the Swedish coffee break that’s more than a coffee break. 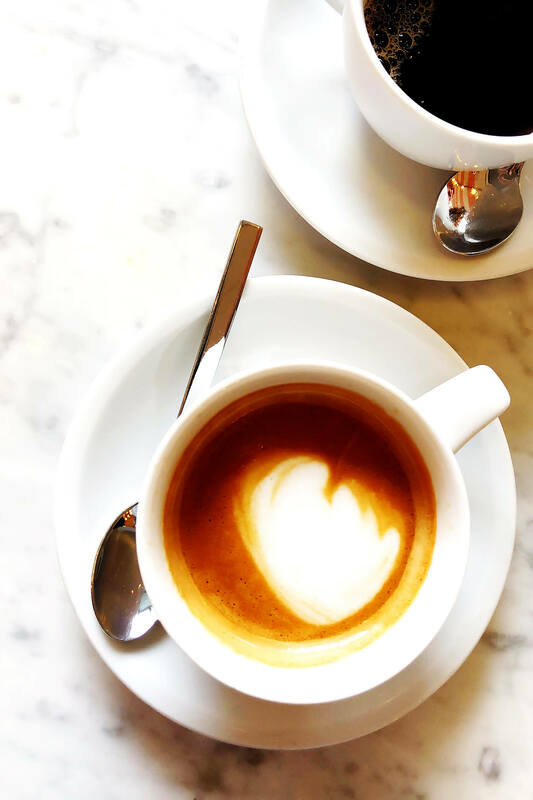 Fika can happen any time of day, preferably with sweets, always with good-quality coffee, on your own or shared with a friend, and it’s basically time each day to pause and savor and recharge and enjoy. We absolutely loved the heart and rhythm behind this tradition, and fika-ed as often as possible in Stockholm. Here are the places we visited and recommend! 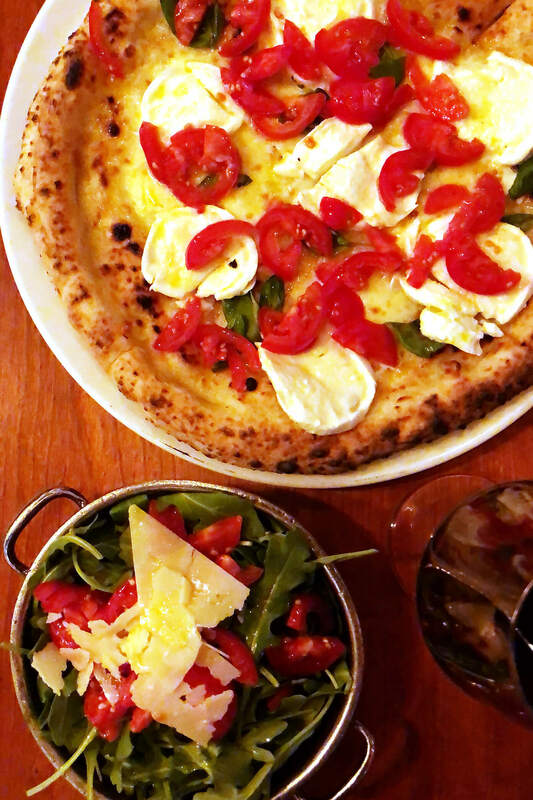 Giro: The pizzeria I mentioned above — a collaboration between our hotel and our favorite pizzeria in Naples, Da Michele. The pizza was fantastic and totally hit the spot, the Italian red wines were delicious, and our server was awesome. 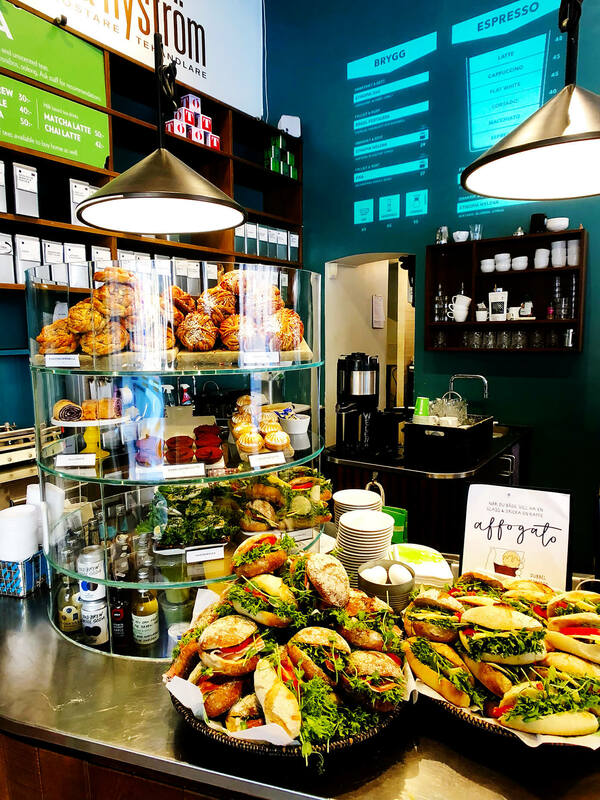 Green Rabbit: An charming little bakery specializing in rye breads in the Norrmalm neighborhood. 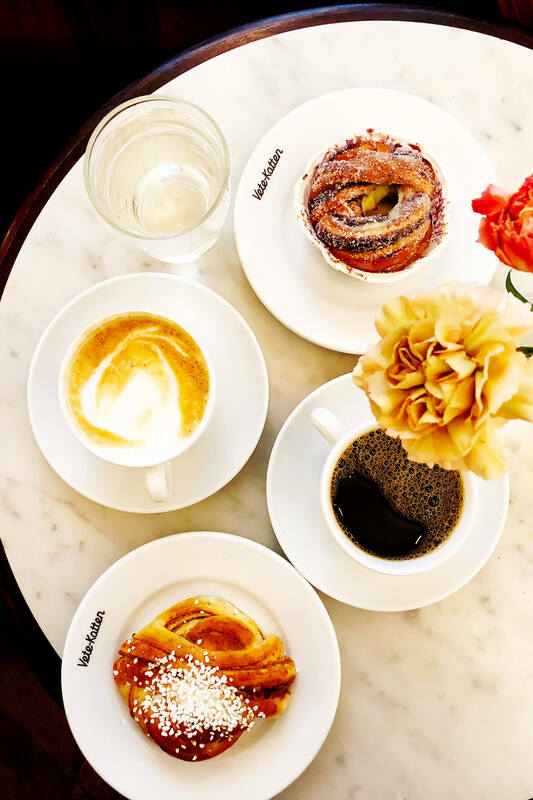 We fika-ed with cinnamon and cardamom buns, plus some really delicious coffee. 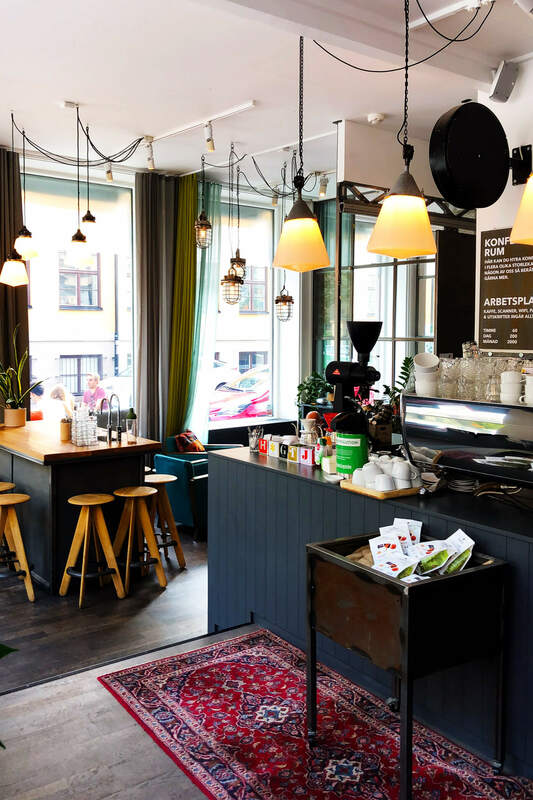 Johan & Nyström: We actually hit up two different locations of this coffee chain, we loved it so much. Their coffee was fantastic, and we of course loved the cinnamon and cardamom buns. Pharmarium: An upscale cocktail bar on one of the most iconic squares in Stockholm. We snagged a seat on their patio out front, which was lovely on a crisp autumn day, and really loved both of our cocktails. We shared an order of rice noodles with shrimp, plus an order of spring rolls. 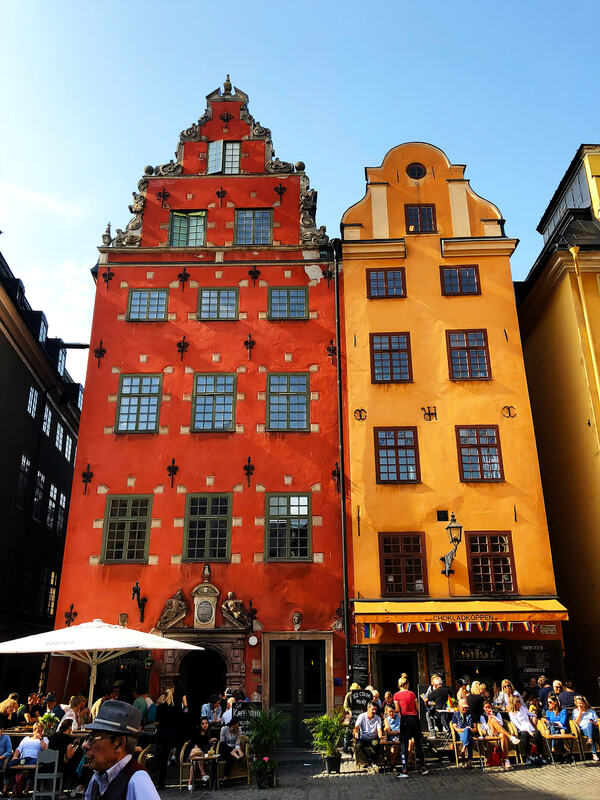 Slingerbulten: Our friends recommended that we try this classic Swedish restaurant in the heart of Gamla Stan for our first meal in Stockholm. 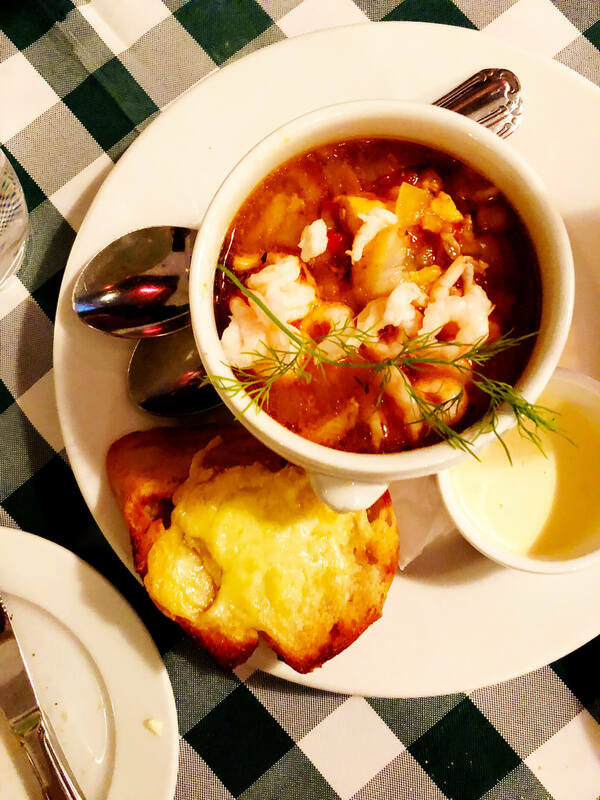 And it was exactly what we were hoping for — quaint ambiance, delicious traditional food, and nice big windows for people watching in Gamla Stan. The Swedish meatballs were the best I’ve ever tried. But to be honest, the fish soup (our appetizer) totally stole the show. So good!! Thai House Wok: The first Thai food we’ve had in ages. :) :) :) We picked up take-out here with our friends, Jake and Kara, then had a picnic down by the water. And it totally hit the spot. 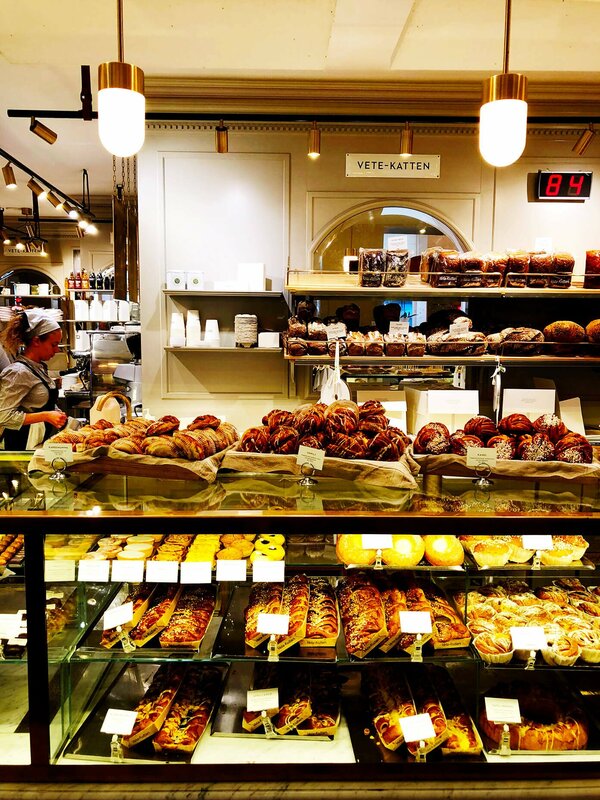 Vette-Katten: Iconic bakery in Stockholm with a huge selection of pastries and plenty of seating — perfect for fika. Loved their cinnamon bun, but their (most popular) blueberry bun definitely stole the show. Urban Deli: A super-cute and trendy gourmet grocery that was near our hotel. 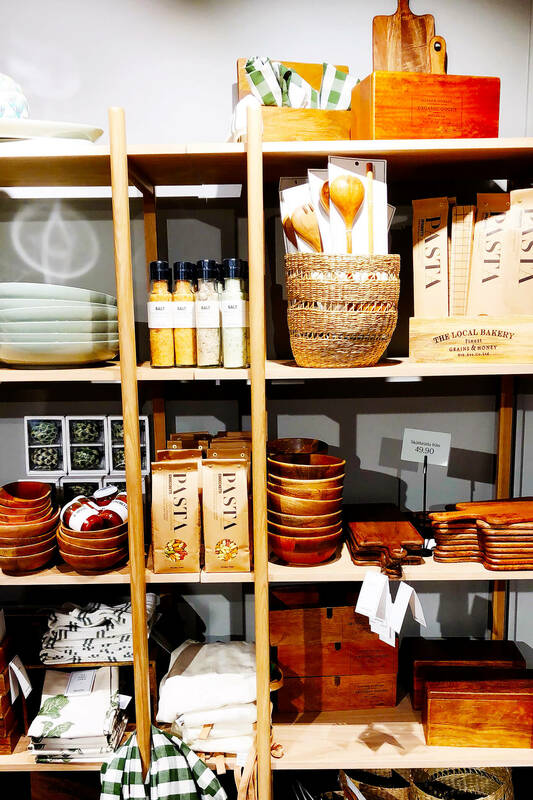 I wandered around for ages, admiring all of their perfectly-designed products. Then Barclay and I ordered a big green salad to share for lunch, filled with tons of vegetables and three different dressings. It was awesome. 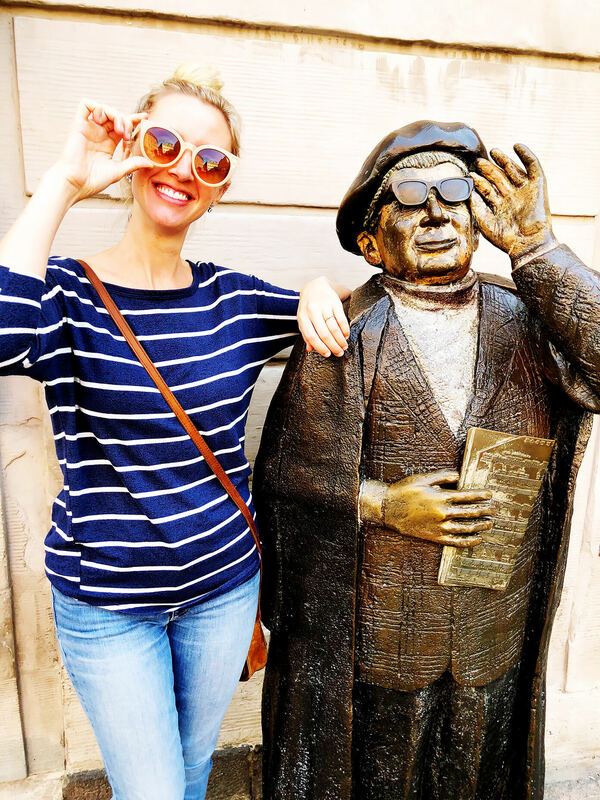 The more we travel, the less we feel compelled nowadays to check-check-check our way through a list of the most popular tourist sights in a new city. 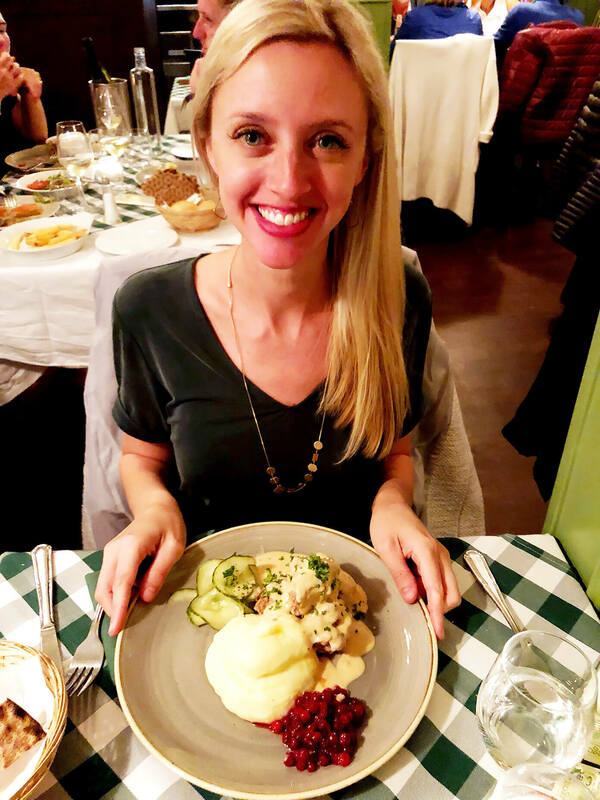 Really, our favorite way to learn about a new city is to walk around as much as possible, and eat as much as possible — both of which we completely enjoyed in Stockholm. 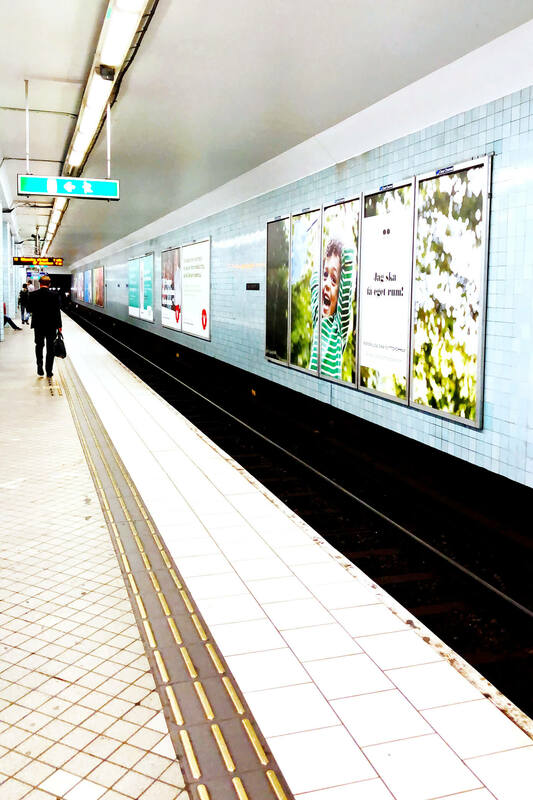 We logged nearly 30,000 steps a day — and also still squeezed in a few train rides on their impressively sparkling, silent, and super-organized subway system — and then promptly balanced out any calories burned with delicious calories consumed. And it was great. Boat Ride Around The Archipelago: The Stockholm Archipelago is actually a series of 14 islands. 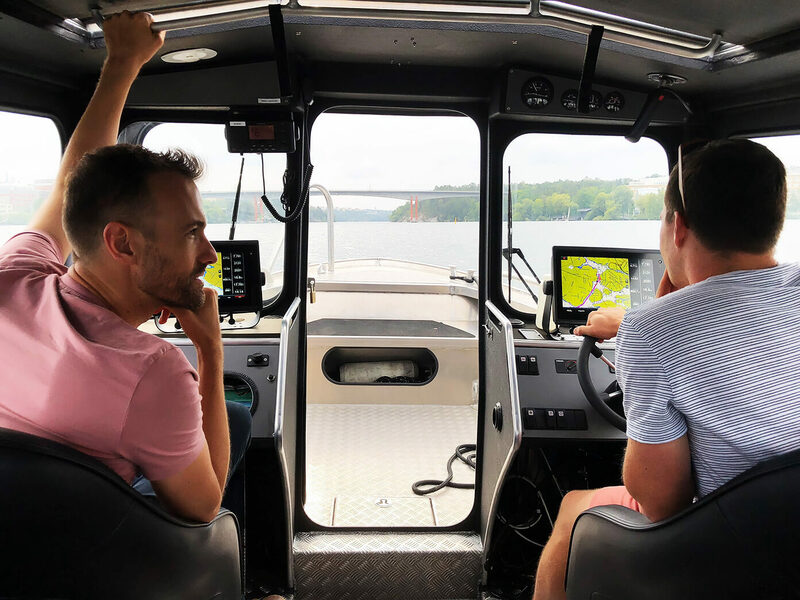 So to truly get a sense of this unique city, consider taking a boat ride to a neighboring island! Several of them are accessible in under and hour and many have restaurants, cafes and parks to take in for another view of city life. We got lucky and had our friend, Jake, take us out for a cruise around the lake, which was perfect. But there are plenty of official tours available too. 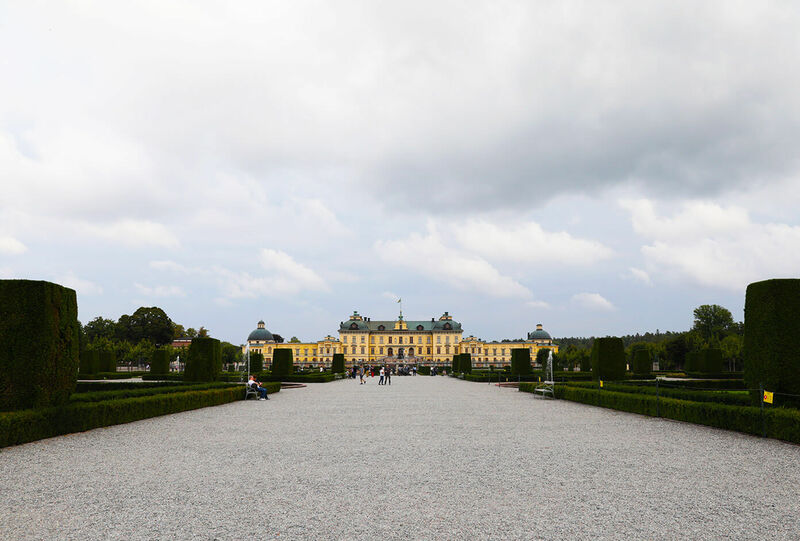 Drottningholm Palace: The current full-time residence of the Swedish royal family, the grounds are open to the public and a lovely departure from central Stockholm. There are many islands worth visiting (especially during summer), and we’d recommend looking at this site to get a few ideas. 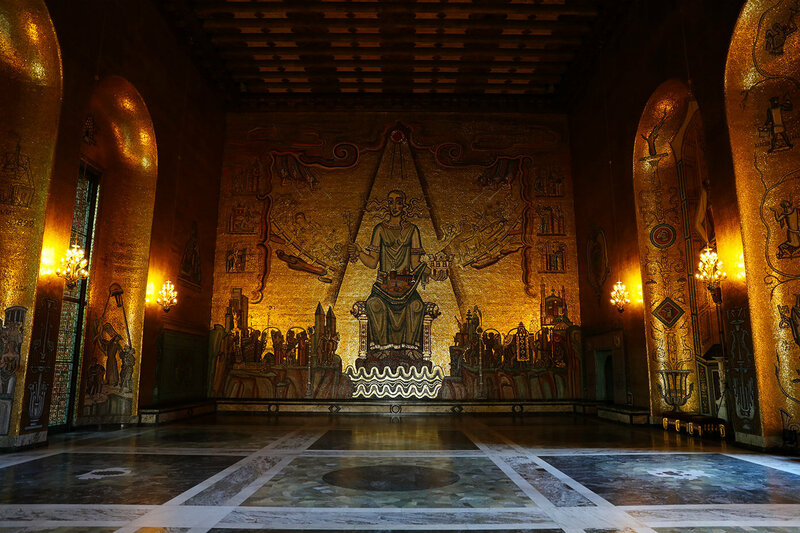 City Hall: Per the advice of our friend, Jake, we took a quick 45-minute tour of Stockholm’s City Hall on our final day in Stockholm. And it was really interesting. Pro tip: If you decide to go, do what we did and don’t research anything beforehand. The second floor is an amazing surprise! 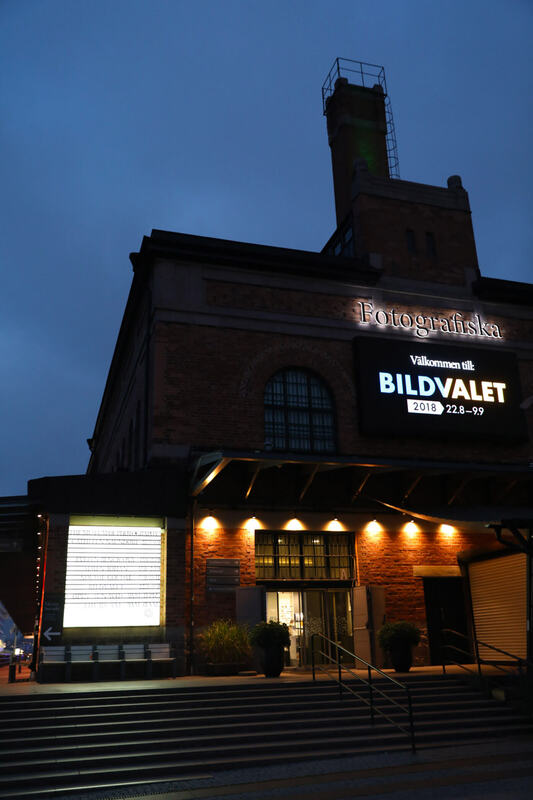 Fotografiska: We were excited to visit this world-class photography gallery, which (surprise!) just so happened to be located next to the port where our cruise ship was docked. And it did not disappoint — we loved all four of the exhibits on display. There’s an award-winning restaurant on the top floor which has sweeping views of the city. And bonus, if you want to keep exploring the city after dinner but don’t want to do the bars, Fotografiska stays open late all week (11pm Sun-Wed, 1am Thurs-Sat). 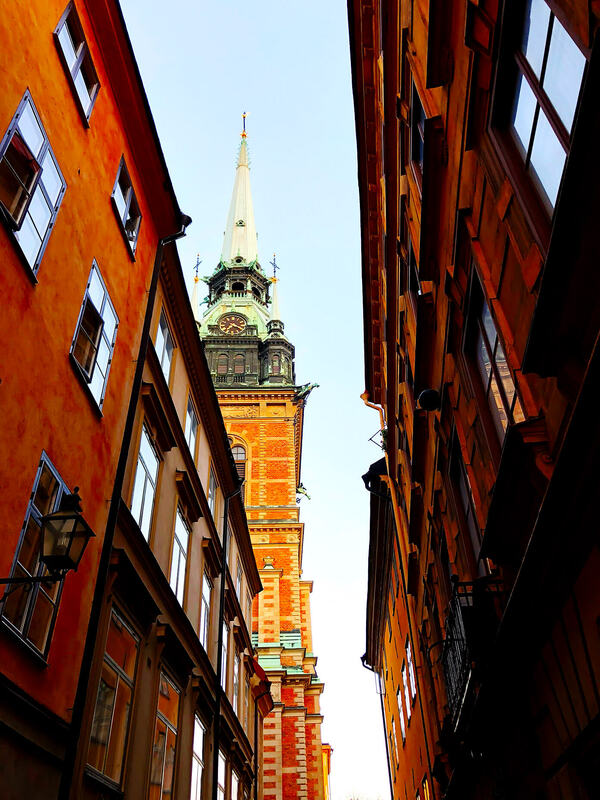 Gamla Stan: Stockholm’s old town, a medieval village which has been beautifully preserved. Though understandably touristic, it’s also super charming and full of great restaurants and cafes and picturesque streets. 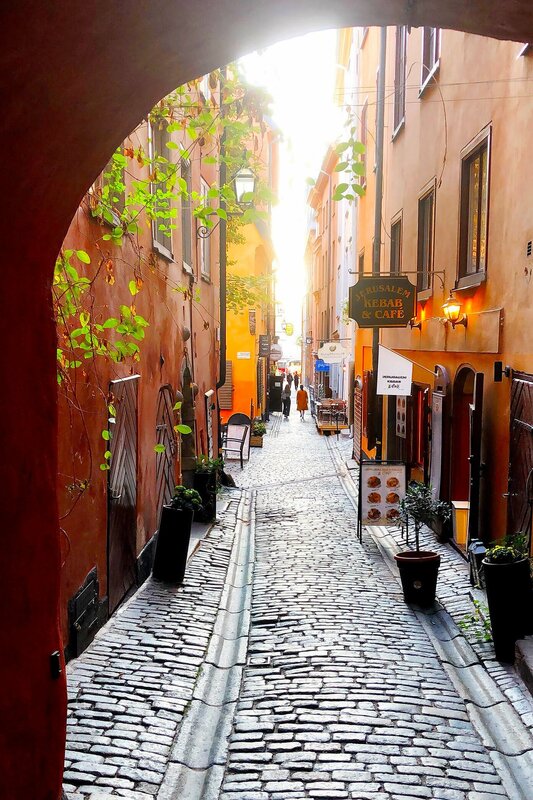 The Narrowest Street In Stockholm: Mårten Trotzigs Gränd is a simple staircase leading pedestrians up or down a layer of Gamla Stan, yet it is one of the most iconic streets in Stockholm. Stotorget (The Big Square): One of the most photographed squares in Stockholm, this stunning square became the center of town in old Stockholm. Though photographed mainly for its beauty and charm, it was once the site of a famous massacre, where 90 dissenters to the king met their fate in the 16th century. 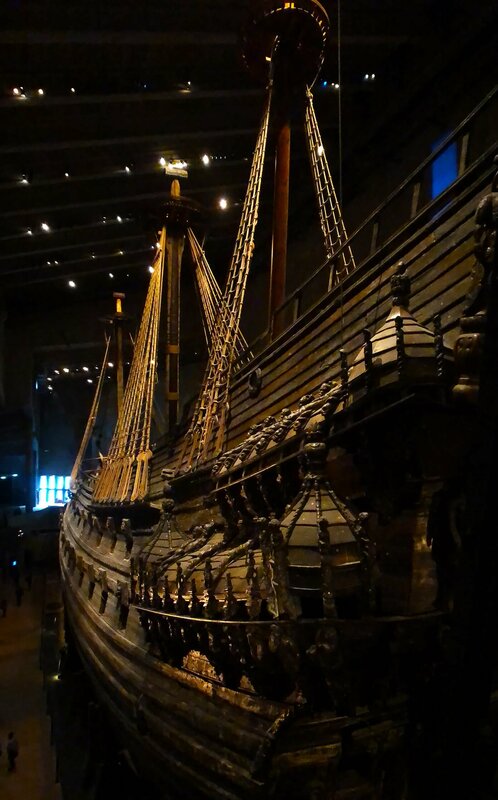 Vasa Museum: So many of you recommended that we check out this museum — and it was awesome! It’s an entire museum dedicated to a ship that sunk just 30 minutes into its voyage in the 17th century, and was then recovered in the 1950s with the help of a team of scientists, engineers and others. Over 90% of the boat is still original and on display, and the museum is a fascinating step into the seafaring culture of Sweden during that time period. Super fascinating. Would you mind sharing what camera you use? Your photos are gorgeous! I agree! Are you still primarily just using your I Phone with the additional lens at times? Tips are needed! I feel like all of my photos are blurry and unprintable. How do you get your images so crisp looking? 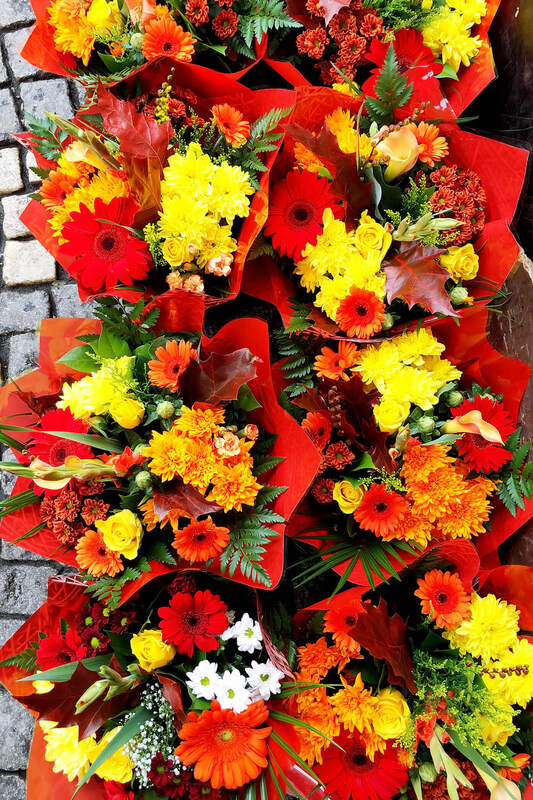 The colors in your photos are so vibrant. Gorgeous! You two still have the wedding glow. So cute. The writing and pictures were wonderful. I loved this post! Thank you. I love it when you post about your trips to places I’ve not been – and to places I have been. Glad you had such a good time in Stockholm. I’ll be looking forward to hearing about your cruise (hopefully). Seriously, the two of you could not be more adorable! Thank you for sharing your whirlwind adventure! I pretended I was hanging out with you…it was a lot of fun! Thank you for letting me have a vicarious adventure! Looking forward to the next one! 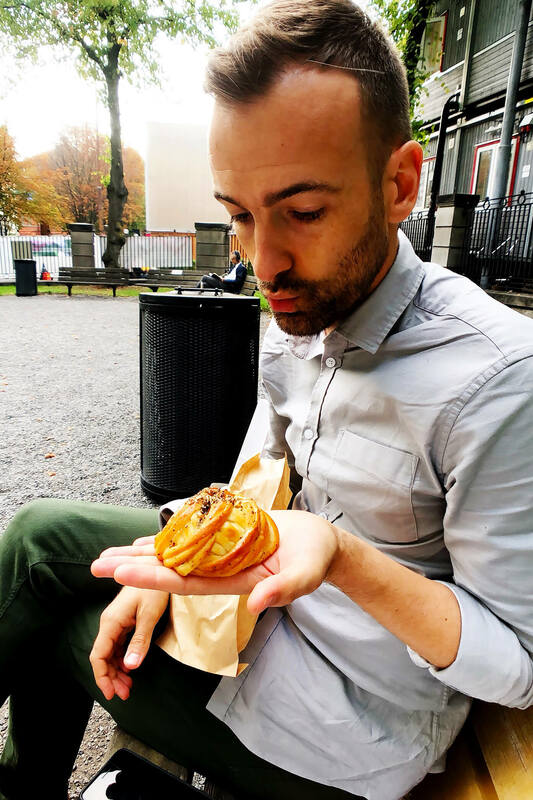 Ok, aside from needing to book a trip to Stockholm ASAP, do you plan on posting a recipe for the cinnamon cardamom buns soon? Looks like an absolutely beautiful trip. The pictures are spectacular. Thank you so much for sharing. Enjoyed your amazing days in Stokholm with beautiful pictures and smiling faces. 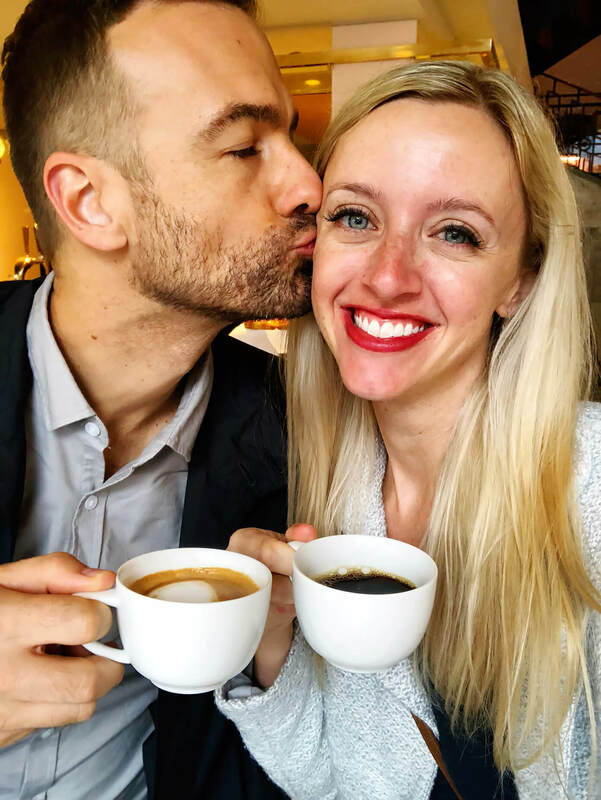 Love birds your photos are Gorgeous.thank you for sharing with us. 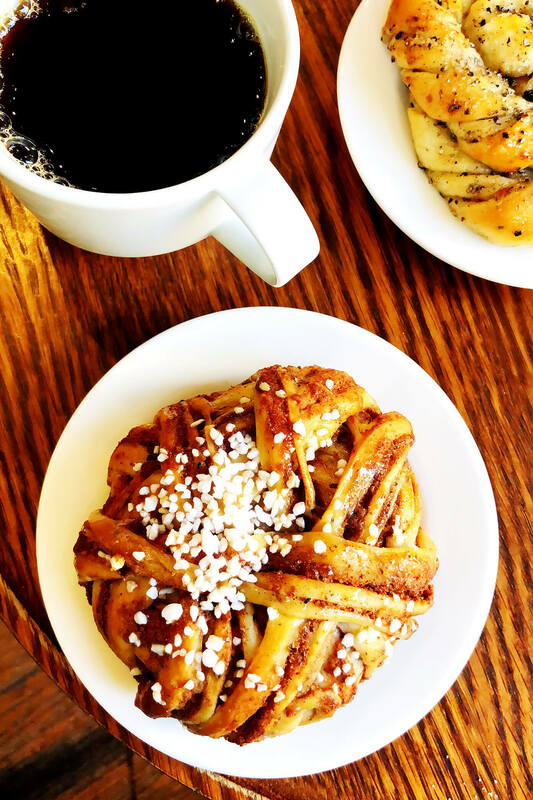 I’m planning a trip there now just for the cinnamon rolls and fika. Thank you for a wonderful post about my hometown! I love it just as much as you do. But I must correct you regarding the archipelago. 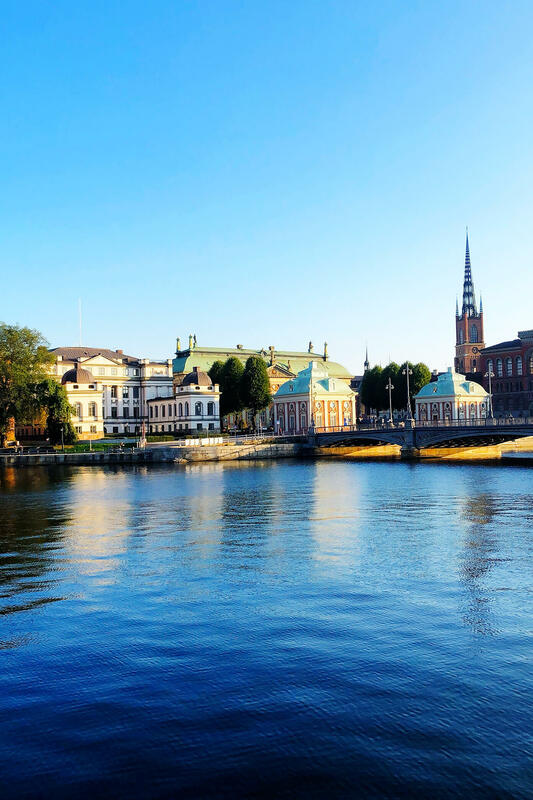 It’s the very city of Stockholm that is built on 14 islands, the archipelago consists of more than 30 000 islands. 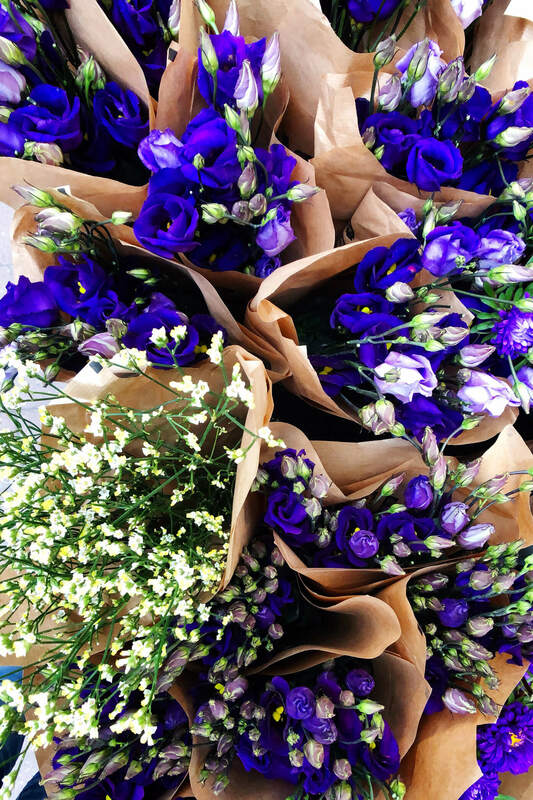 Quite a difference – and very, very beautiful! Hope to see you the next time you visit! Oh my gosh – we stayed at Miss Clara too! We loved it. Did you get to try their breakfast smorgasbord? We are still talking about it! Stockholm has been on my list for years and it was worth the wait. Thank you for sharing!! Love this review and was planning on taking a drip this year to Sweden and appreciated all the tips you offered as well as the beautiful pictures.